Graph-Ex SA™ for ALFALFA/CLOVER contains a specifically formulated blend of Alfalfa/Clover Root Innoculant formulated in a talc graphite carrier. When it comes to maximum yield advantage plus planter protection, Graph-Ex SA™ is the clear choice. 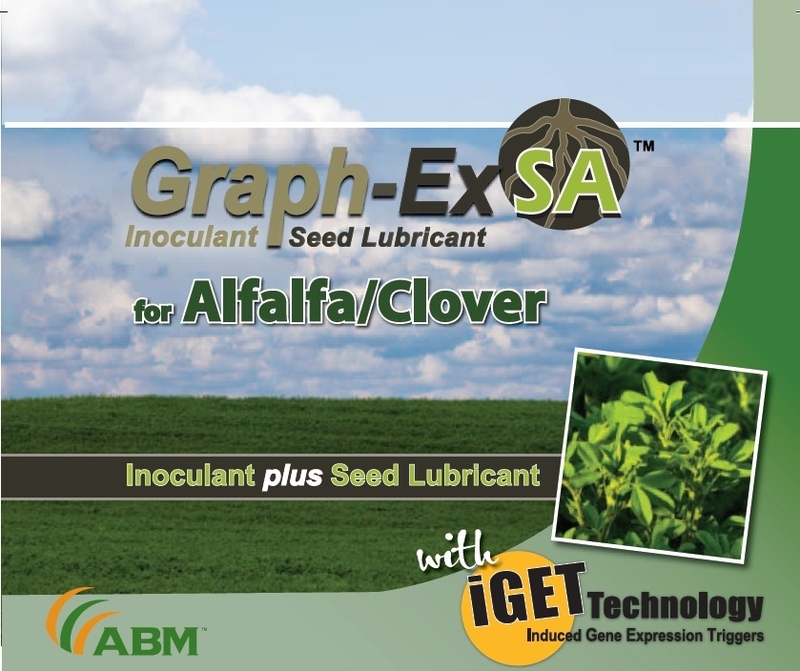 Graph-Ex SA™ delivers the growth stimulant benefits of the iGET™ Technology plus the nitrogen benefits of our unique proprietary strain of yield-enhancing rhizobia bacteria specifically formulated for Alfalfa and Clover crops. One packet treats 100 pounds of seed.